The huge diversity of omnidirectional antenna, directional antenna, vehicle omni antenna and leaky cable offers the ideal solution for your application. With our product portfolio, we focus on a high industrial suitability. In order to improve our products, in particular with regard to vibration resistance, grounding behavior, impermeability and emission behavior, we have further developed our antenna portfolio. We continually improve our product portfolio and include in the portfolio WLAN technology innovations. As a result, our portfolio is subject to short term changes. All antennas comply with the IP65 degree of protection - for a high industrial suitability. The sole exception to this is the BAT-ANT-N-14GIP23 antenna. The emission behavior of the new antennas is more homogeneous - with improved transmit and receive power during operation. The antennas, equipped with N sockets - allow you to connect the antennas easily and quickly with other cables and overvoltage protectors. The scope of delivery - comprises a complete solution, with the antenna, 1 yard of cable, and the pigtail included. 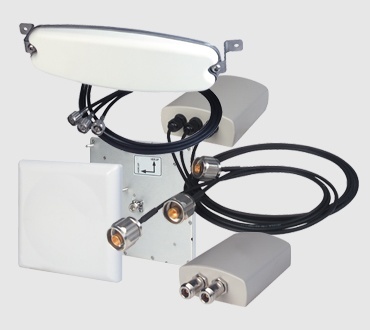 The complete solution allows you to immediately connect the antenna to the BAT-C, BAT-F, BAT-R, and BAT300-Rail. You obtain every antenna - with mounting material which is vibration resistant, weatherproof, and sturdy. Download the white paper "IEEE 802.11 Radio Optimization" and Understand key use cases for WLAN in industrial applications.